The sun wasn’t even up yet. I was still in and out of sleep — mostly in. That’s when my 14-year-old son knocks on my bedroom door telling me it is time to get up. (“Just five more minutes?! PLEASSSSE!”) No deal! He is my son who has special needs. When he says it’s time for him to get up, there’s usually a very slim chance I can convince him otherwise. So, I let him get up, but I stay under the blankets deluding myself into thinking maybe I can squeeze in 15 more minutes. Nope. My 8-year-old son bounces into my room after him, full of energy and ready to talk. He is a self-admitted “chatter box.” I glance at my clock. It’s only 6:30 a.m. For the love! It’s Spring Break, People! Don’t you know I’m tired, and you should be sleeping in?! With my eyes half open, my youngest sits on the bed and asks me some deeply spiritual questions. (WINDOW OPENS!) The questions just roll off his tongue like he had been contemplating them all night. I am not ready for this! I prayed a quick prayer for God to give me wisdom in how to answer him because my brain isn’t working very well at that moment. And true to God’s character, He honored that prayer request emergency “HELP ME” 911 prayer, and I was able to have a vitally important conversation with my 8-year-old son for the next 30 minutes. The conversation took a turn in discussing the difference between conviction and condemnation. He thought about what I said, and then he asked me to tell him again. I explained to him that conviction is from God. The Holy Spirit Who lives inside of us lets us know when we’ve done something that is not pleasing to Him. He tells us when our fellowship with Him has been broken because of sin. Condemnation is from the devil. He tells us how bad we are, how we will never be any different. He whispers lies like, “Who are you to think God can use you? No use in trying to be any different. This is just who you are!” Do you see the difference? One tells us what we DID was bad and shows us the way to restore fellowship with Him. The other tells us that we ARE bad, and there’s no hope for us. I was able to clearly articulate the difference between conviction and condemnation. More importantly, my son, who tends to be a little more on the hyperactive side, was able to track with me and GOT IT! He stayed engaged, and absorbed everything I said. He even asked some really good questions. At the end, he was able to tell me what he learned. I have no doubt he will need to know the difference in the near future. God was preparing him to walk in his God-given authority as a son of Most High. 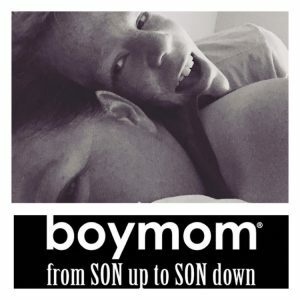 I’ve learned that those teachable moments, those “windows of opportunity” to speak into my boys’ lives open and close at various times. I don’t know when the window will open, but when it does, I need to be ready — even if it’s 6:30 a.m. The same Holy Spirit Who resides in me, their Bible College graduate mama who has been walking with the Lord for a long time is the SAME Holy Spirit Who lives in my 8-year-old energetic son! I trust His Word that says, “But when the Father sends the Advocate as my representative–that is, the Holy Spirit–he will teach you everything and will remind you of everything I have told you” (John 14:26 NLT). 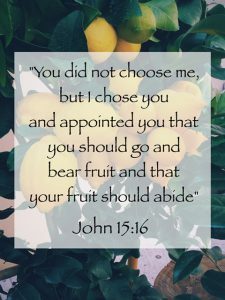 As I was contemplating how the Lord wants to use me, I was reminded of the Scripture: “You did not choose me, but I chose you and appointed you that you should go and bear fruit and that your fruit should abide, so that whatever you ask the Father in my name, he may give it to you” (John 15:16). I am covered. I am hidden in God with Christ Jesus. I am no longer a slave to sin. He calls me to freedom. He CHOSE me! I did not choose Him. That’s important because it shines the spotlight on the fact that it really has all to do with Him. He chose me! I did not choose Him. And…He has called me to bear lasting fruit! PRAYER: Lord, I ask that you would open the eyes of Your sons and daughters to the enemy’ tactics to keep them tied to their sin and the guilt and shame it produces (condemnation). I pray, instead, that You would tether them to Your heart. I pray that they would walk in the freedom you purchased for them with your own blood (conviction). Their freedom will draw people to You and cause others to want what they have. Do it, Lord! Open their eyes to see the freedom that is their’s purchased by Your blood. May we always walk under the conviction of the Holy Spirit and NOT the condemnation of the enemy. Yes, Brenda, especially with boys! Thank you for giving us the opportunity to share. Julie- I understand those windows of opportunity SO WELL! We have to pounce on them, don’t we??? Even if it is at 6:30 in the morning! lol. I loved this post!